For older homes or for spaces that make it hard to run HVAC ductwork, Mitsubishi ductless cooling and heating systems are a great solution. These are a great alternative to traditional central HVAC systems because they don’t require the ductwork that is difficult to install in older construction, or in homes without attics or adequate closet space to do so. The units can be mounted high or low on any wall, or on the floor. Energy bills are lower because the units, hyper-zoned to a specific space, deliver better heating/cooling balance between rooms. Greater comfort from room to room, whether heating or cooling. Their inverter technology hardly draws any electrical current. Up to eight units can run off one compressor and the compressor is far quieter than its traditional counterparts. 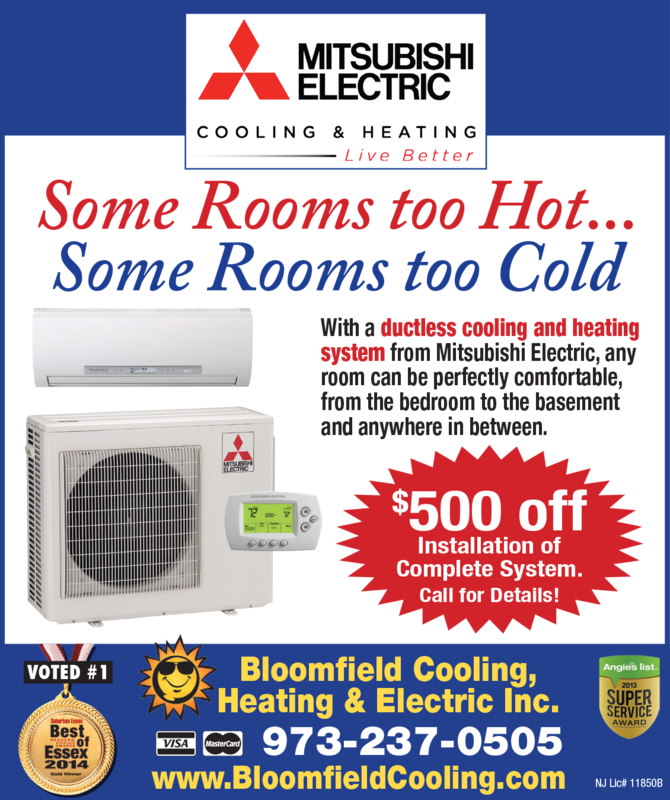 Here’s an added benefit when you contract with Bloomfield Cooling, Heating & Electric: we are a Mitsubishi factory-trained Diamond dealer, which enables us to offer one of the best warranties in the business. Our warranty on this product is a full 12 years, far longer than any other in the industry. Want to learn more about ductless cooling and heating systems for your home or office? Fill out the contact box in the page and we’ll set up an appointment.